“I live in Bethel Ohio surrounded by lots and lots of trees. Pool and trees do not get along to well. Everyone knows my pool is green by this time of the year. My daughter spotted this idea on Facebook and I figured why not try it. I had a box of Mr. Clean magic erasers laying around. Now mind you, my pool wasn’t green, but it looked like it was getting cloudy… I throw one of these in the skimmer basket and… holla bing holla boom! The cloudiness left, and my sponge looks like this. I’m pretty excited to think something so cheap could help so much. 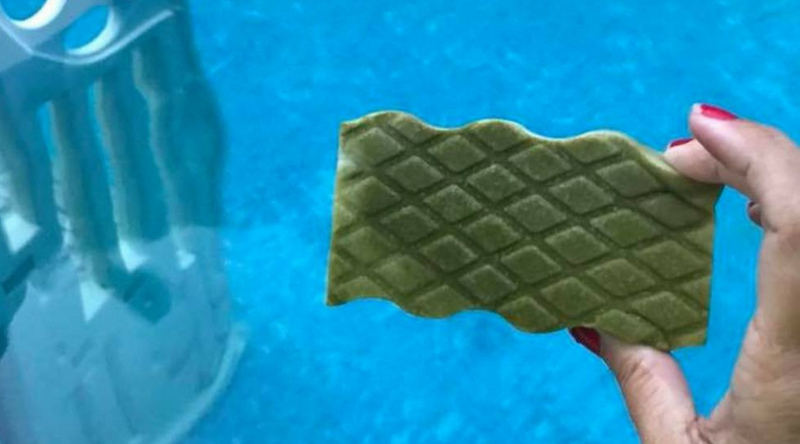 The Mr. Clean sponges have worked miracles for me on cleaning my pool. We would spend hours and tons of money on getting this pool clear. 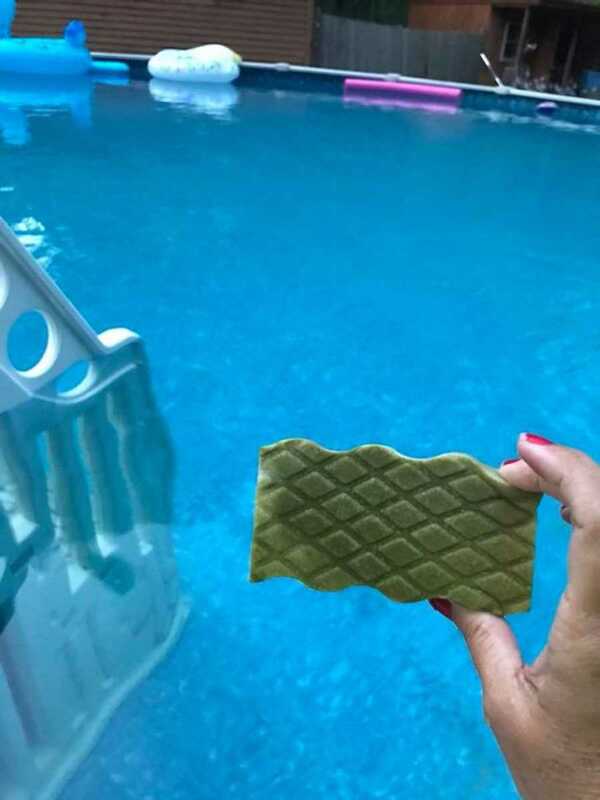 I would be so disgusted every day that I would look into the pool it would be either green or dingy. This year I’m proud to say I have not done much to it at all. I keep a magic eraser in the skimmer basket at all times. Don’t get me wrong, the Mr. clean sponge does not replace the need for shock or chlorine tablets but it sure has saved me lots of money on buying cases and cases of shock and tablets. This story was submitted to Love What Matters by Lisa Pack of Ohio. Submit your story here, and subscribe to our best stories in our free newsletter here. Do you know someone who could benefit from this brilliant hack? SHARE on Facebook or Twitter!